“Folksy melo-death” is what Suidakra does, having produced one of the style’s more impressive albums in the form of 2003’s Signs for the Fallen. Said album proved the Germans could handle venturing outside of the folk metal confines, for its melodic twists and climatic arrangements proved one could be epic without having to try to be epic. If you know what we’re saying. 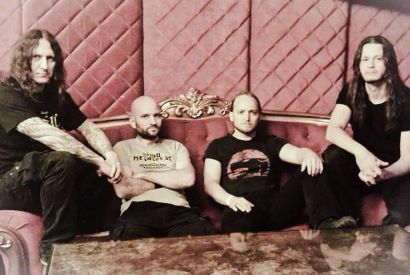 And since 2005’s sole career hiccup Command to Charge, the band has stayed on the straight and narrow, something they’ve done once again on Eternal Defiance, their 11th album overall. Since Eternal Defiance is without a designated true epic number, it’s easy to cherry-pick the moments to savor. 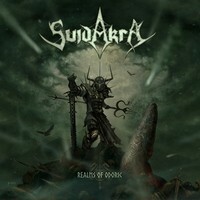 “Rage for Revenge” and “Defiant Dreams” might translate as too much of a re-interpretation of the band’s most recent works, yet the bountiful hooks, striking melodies, and thoroughness in which Suidakra builds songs is hard to deny. 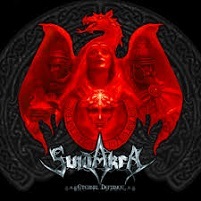 It’s why they’re a treasured entity on the folk/epic metal front…you’ll be hard-pressed to find a band can outdo Suidakra in the European battlefront.